Sony has introduced a Super 35mm model α7R II, 4K mirrorless camera with the world’s first back-illuminated full-frame Exmor R CMOS sensor. Since 2008, when the first video-capable DSLR was introduced, a revolution in small format video imaging has been in constant play. Over the past seven years, development of smaller video cameras has raced forward — surpassing that of traditional camcorders. To be clear, the new Sony α7R II camera is not a DLSR, but rather a mirrorless camera. While this may seem like a minor point, this feature is key to some of the camera's advantages over the typical camcorder. A major difference between a DSLR and video camcorder (besides the flip-up mirror) is the visual impact the camera has on scenes. Current DLSR cameras, with their larger sensors, have a more shallow depth of field than traditional camcorders. This means if the foreground subject is in focus, parts of the background will be out of focus. A shallow depth of field can be very useful in focusing the attention of the audience in storytelling. The technique is used the same way as 35mm film in Hollywood features. Shallow depth of field allows the videographer to isolate the main character from his or her environment. Many modern video storytellers now prefer the look of DSLRs over traditional video. Sony α7R II camera has the world’s first back-illuminated full-frame Exmor R CMOS sensor. Today’s camcorders, on the other hand, are incapable of this look because the sensors used in the cameras are very small. Therefore, for any given image size, they have a much deeper depth of field. This can be valuable in “run and gun” situations like traditional television news — though some now even favor the DSLR camera in news production. As all media gravitates toward multimedia programming, DSLR-type shooting is gaining favor. Photojournalists can do both still photographic work for web sites and video for motion storytelling. The DSLR has become favored tool in such situations. The sensor is by far the largest backside illuminated CMOS chip ever released, allowing the maximum expanded ISO to rise two stops to 102,400. It is a major advance in small video camera design and the first digital camera to offer in-camera full-frame 4K recording capability. Priced at about $3,200, the Sony α7R II camera, which weighs one pound, six ounces without a lens, is being delivered in August. It includes the ability to record 4K (QFHD 3840×2160) in either Super 35mm crop mode or full-frame mode. The Sony α7R II 'looks' like a fancy DLSR for capturing stills, but its mirrorless design provides video capabilities exceed that of many dedicated video camcorders. In the full-frame mode, the α7R II utilizes the full width of the 35mm sensor for 4K recording. The camera uses the XAVC S7 codec during video shooting, which records at a bit rate of 100 Mbps during 4K recording and 50 Mbps during full HD shooting. Kimio Maki, senior general manager of Digital Imaging Business Group for Sony. The new Sony α7R II features a variety of functions to support a professional video workflow including Picture Profile, S-Log2 Gamma and S-Gamut, 120fps frame rate movie shooting in HD (720p), time code and clean HDMI output. It has a XGA OLED viewfinder with a 0.78x viewfinder magnification. 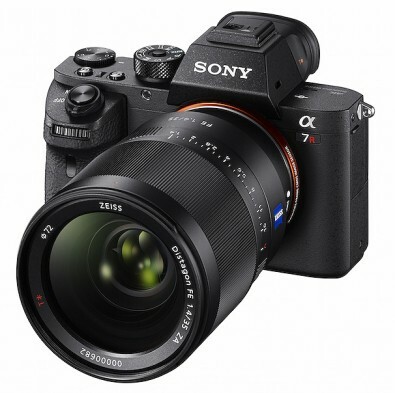 The Sony α7R II sets a new standard for small video camera and moves it into the cinema arena at a price that has previously been reserved for entry level professional video camcorders. “By harmonizing high resolution, sensitivity and speed, we’re delivering a high-level full-frame imaging experience unlike anything else in market today,” said Kimio Maki, senior general manager of Digital Imaging Business Group for Sony. When coupled with an Atomos Shogun monitor/recorder, the new combination becomes a video shooter’s powerhouse. The Shogun ($1,695) allows users of the Sony camera to record its 880mb/s direct to 10-bit Apple ProRes and Avid DNxHR. This dramatically improves the quality from the camera’s sensor and by-passes the 100mb/s at 50:1 compression that is offered by the camera internally. 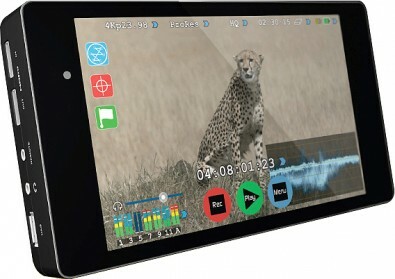 Atomos Shogun monitor/recorder can store the camera's 800Mb/s at 10-bit Apple ProRes and Avid DNxHR. S-Log2 Gamma and S-Gamut LUTs can be reviewed on the Shogun’s calibrated seven-inch LCD monitor. It has the ability to preview by uploading LUTs in a .cube format. The Shogun bypasses the 30-minute recording limit imposed on other cameras by recording directly from the sensor. It also uses SSD recording media, which is faster and more than half the cost per gigabyte compared to the SD cards used by the camera. 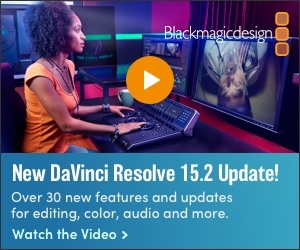 The 4K recording — apart from being the native codec for non-linear editors — also has 4:2:2 color sampling and 10-bit color depth that enables the freedom in post production to integrate 10-bit effects and overlays. The ability to tag footage on the fly is “favorite/reject” ready and allows immediate integration into Final Cut Pro, Adobe or other NLE’s. The breakout XLR connection gives the Shogun/α7R II combination both balanced analog XLR audio and 48V phantom power options for condenser microphones. 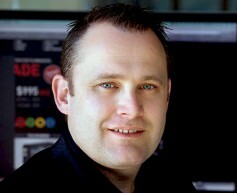 Jeromy Young, CEO and co-founder of Atomos. Atomos Power Station provides longer operating time for the Sony α7R II and any other accessories that might be needed. 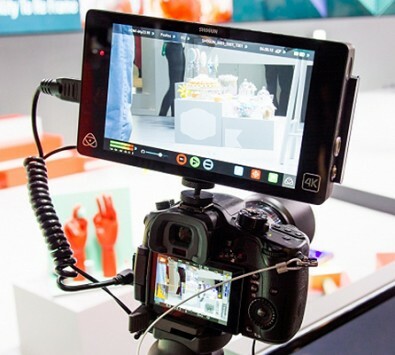 Those concerned with the camera’s battery life recording 4K video can use the new Atomos Power Station when it is released this summer. By connecting a Power Station to the rig, users will have a continuous power source and three times fast charger for the α7R II, the Shogun and other accessory devices. The new camera is also Wi-Fi and NFC compatible and works with Sony’s PlayMemories mobile application available for the iOS and Android mobile platforms. This makes the camera more useful for time-lapse photography due to a new Angle Shift add-on app. It allows users to add pan, tilt and zoom to time-lapse images without any additional shooting equipment or software. Mounting an Atomos recorder/monitor directly on the camera provides a professional 4K quality monitor complete with options. While DSLR’s have come a very long way in seven years, some shooters may still desire the mirrorless (camcorder) approach to image capture. Early on, the DLSR shape was awkward for many videographers used to more traditional camcorder design and their audio capability was dismal. But better design and a well-developed group of third party accessories has eased that situation. Today, such cameras offer a far broader lens lineup, excellent low-light performance, professional audio, lower cost and much lighter travel weight. In the multimedia world, DSLRs have the distinct advantage of allowing both still images and video from a single camera. This was major asset to reporters needing both. 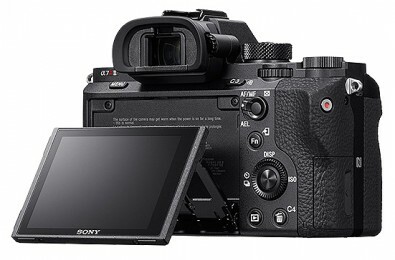 Now, with Sony's Super 35 mm sensor in the α7R II, high-quality video can be obtained in a DSLR-sized package.